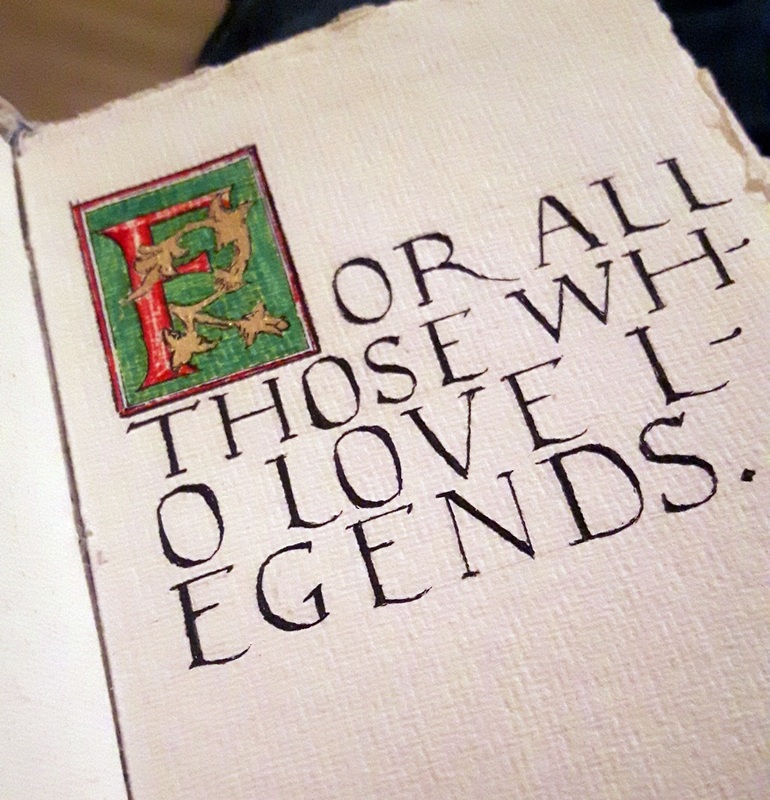 About ten years ago now after my granddad died I found among several odd papers a little notebook probably from the middle of the last century – completely unused. In there I began writing until I had put together some fifty short fables, the very first of which was titled The Three Princes. A few years later I started to get into writing poetry and in my second longest poem I turned the story into a lengthy ballad. That was probably four or five years ago now at least. I thought I had also posted that on this blog, but again the lack of organisation has left me unable to find where I likely hid it. 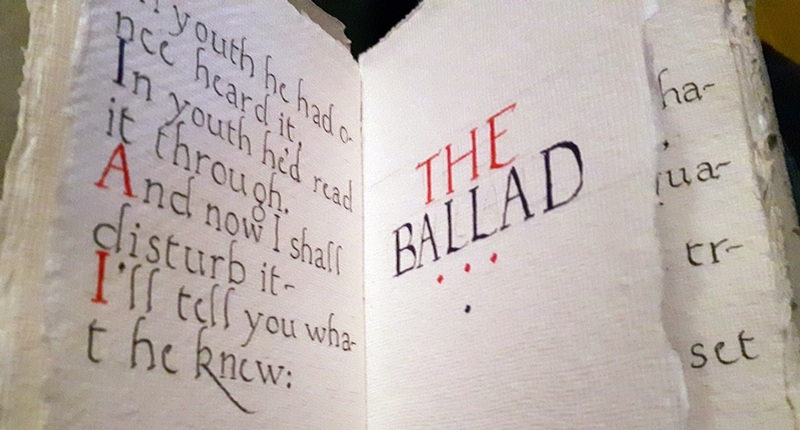 Early this year I’d discovered some heavy duty rag paper that I’d bought as part of an attempt several years ago to make ‘fake vellum’ using a shellac based varnish. It hadn’t worked particularly well so the idea was scrapped, but it had left me with about twenty sheets of very nice unused paper. 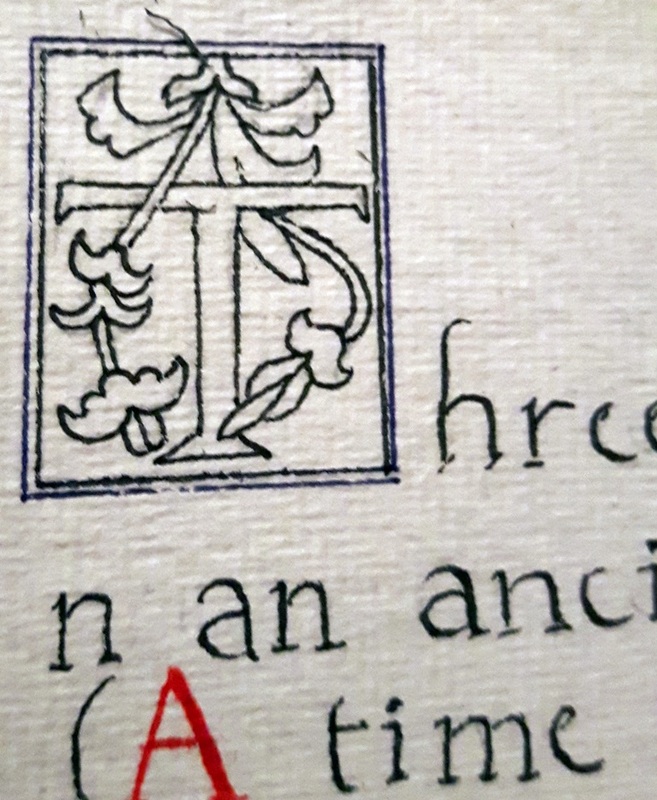 I decided to put it to some use and attempt to illustrate and illuminate my own manuscript – for whatever reason at the time I chose The Three Princes as the text. This would basically be a proof of concept and, if it went well, I hoped to do more – the indulgent Reader may now judge the result. 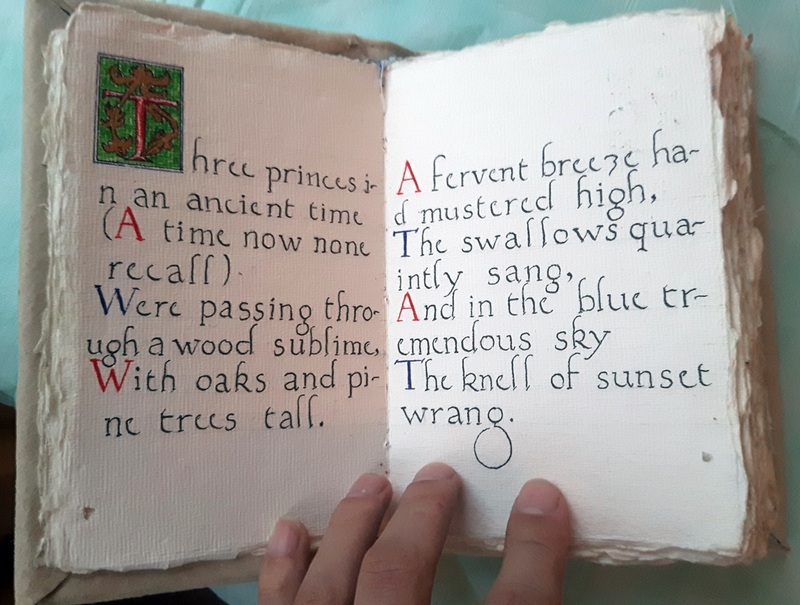 First I had to write out the length of the poem including the introductory verse – I decided on a humanist script that by the time I had finished the work had replaced my day-to-day handwriting. 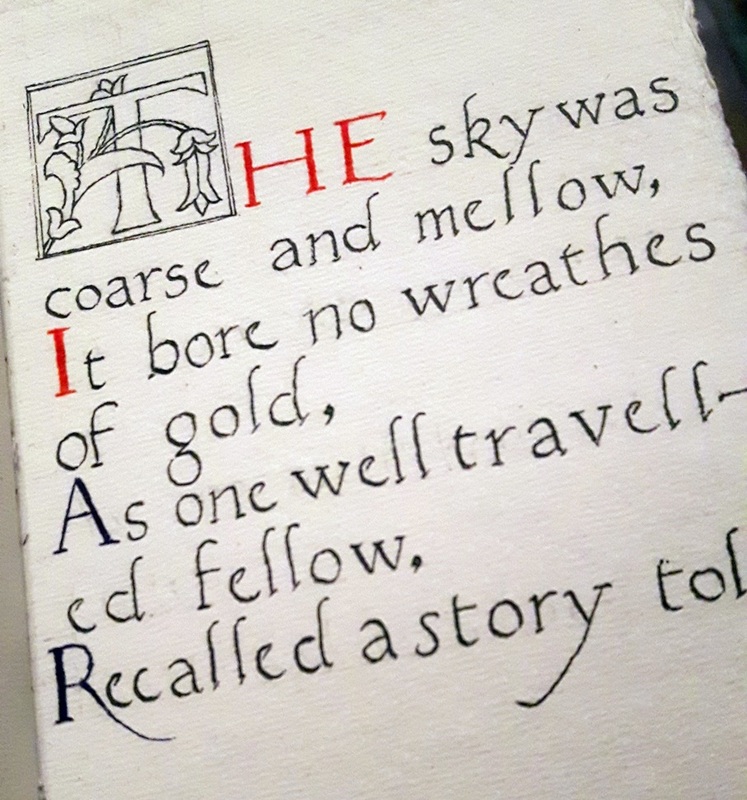 I then went through and illustrated an initial at the opening of each verse. To add leaf to them I then added a glare to the areas that should be gilded and left it to try. 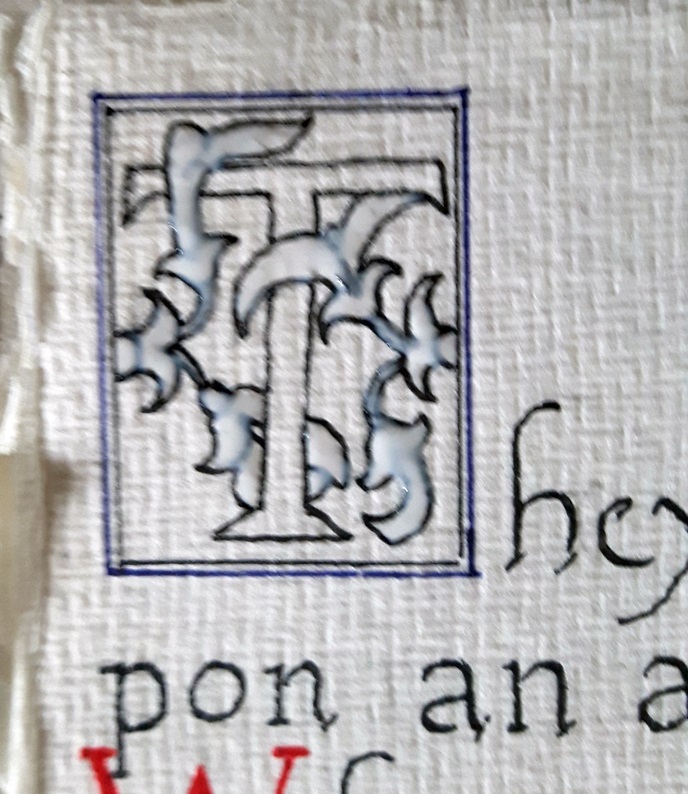 Once the glare had spent an hour or so drying it became sticky and I could lay sheets of leaf over the areas, and in turn give it time to dry further and adhere the leaf to the paper. 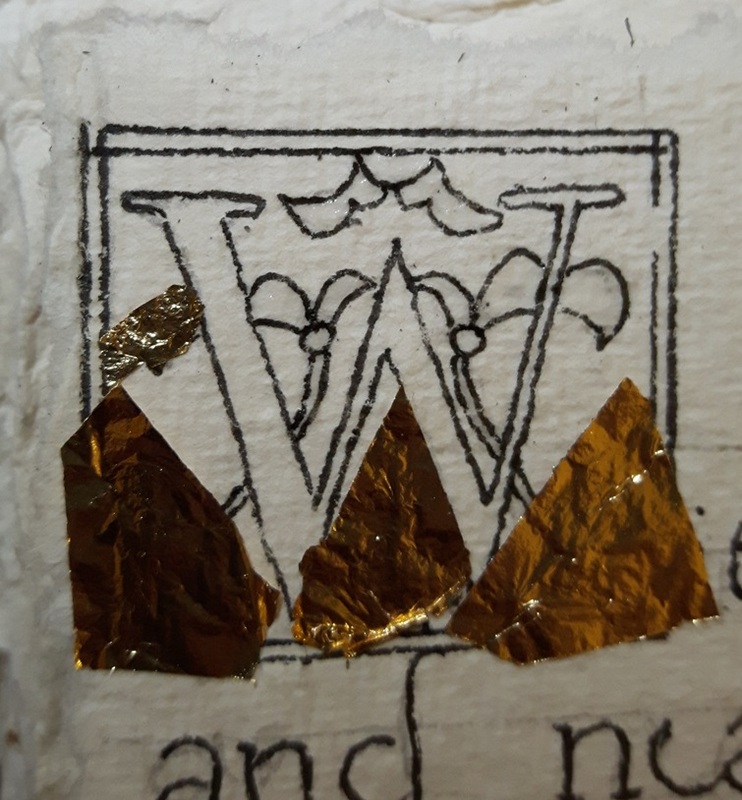 Once the glare had completely dried I could rub away the excess leaf and leave it only covering the areas to which the glare had originally been applied. 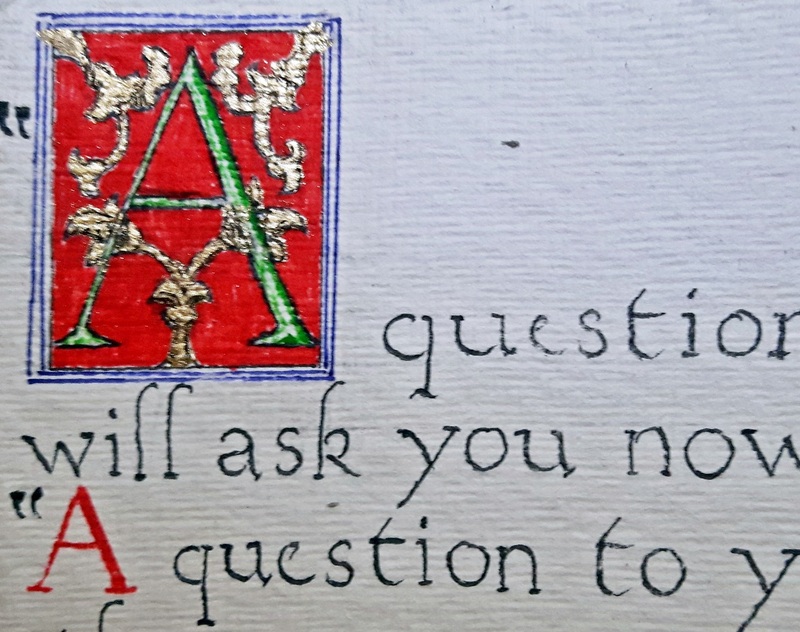 The letters could then be finished with some colour. 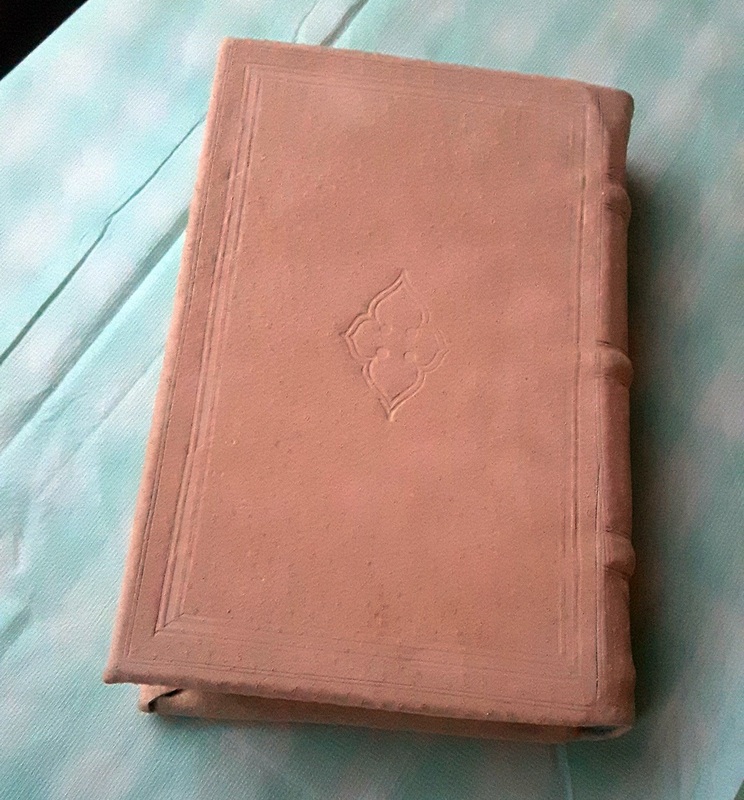 The paper was far too thick to make a useful book, it’s something like 600gsm, but I still bound it and we’ll just have to see how much it pulls itself apart and whether the glue and stitching can control such weighty pages. 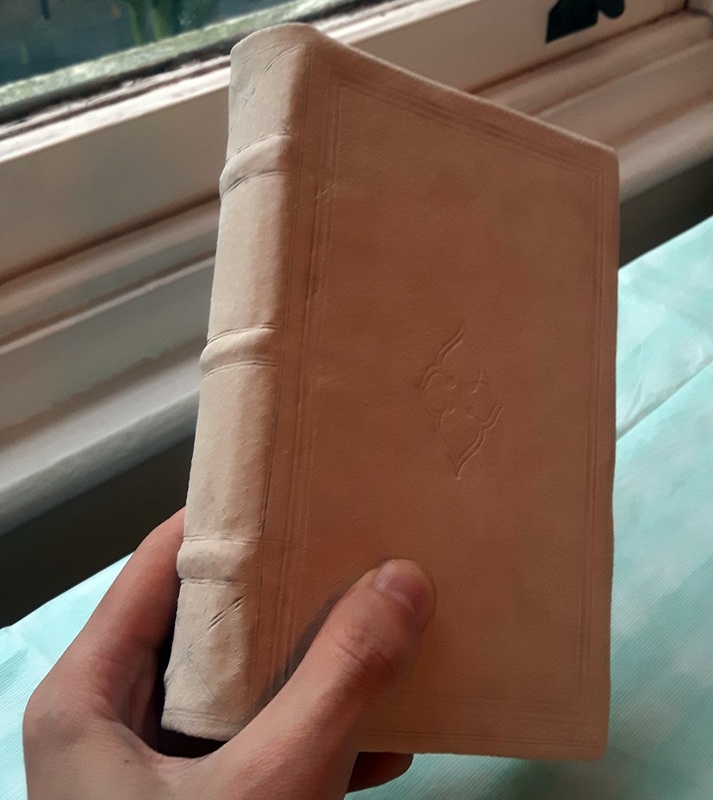 The binding is based on a book in my collection that was bound in Paris in about 1610, although the style is found across Europe in the closing decades of the 16th century through until about 1620. The pages actually open well, although are still clearly unusually stiff for a book – weighing something more like thick vellum pages than paper.